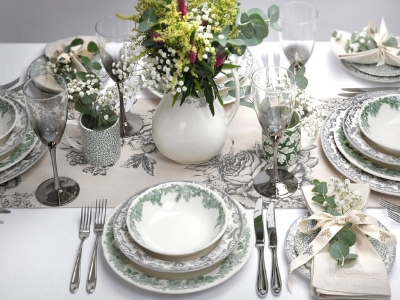 Delamere Rural is a beautifully elegant collection from Spode. 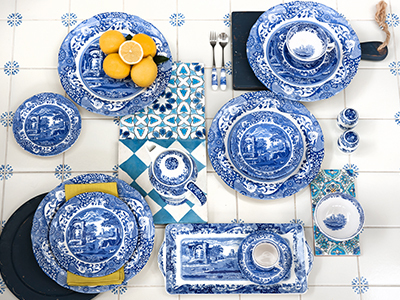 Using the refined Camilla shape, the design features an intricate and exquisitely detailed border sourced from Spode's design archive that dates back to 1823. In a subtle slate grey colourway, the border is accompanied by a woodland animal on key pieces, adding interest and variety to the range perfectly encapsulating the Great British trend for everything heritage and everything countryside. Charming and sophisticated, Delamere Rural is a stunning collection, perfect for those looking for a modern yet classic design from an iconic brand steeped in history. https://www.spode.co.uk/spode-delamere-rural-8-inch-plate 17120 Spode Delamere Rural 8 Inch Plate https://www.spode.co.uk/media/catalog/product/d/r/dr0140_1.jpg 10 10 GBP InStock /Dining/Delamere Rural /Dining/Shop all Dining Collections Delamere Rural is a beautifully elegant collection from Spode. 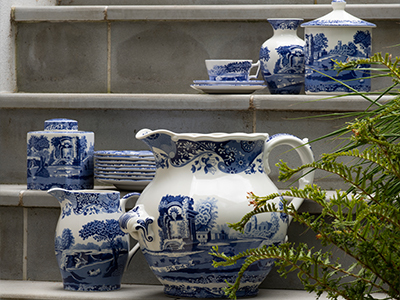 Using the refined Camilla shape, the design features an intricate and exquisitely detailed border sourced from Spode's design archive that dates back to 1823.